Using Resolume's Advanced Output, you can manage all sorts of outputs. You can use physical outputs like a VGA cable connected to a projector, a DVI cable to a LED screen, a capture card like a Blackmagic Intensity, a DMX signal sent to a pixel strip, or even virtual outputs like Syphon or Spout. 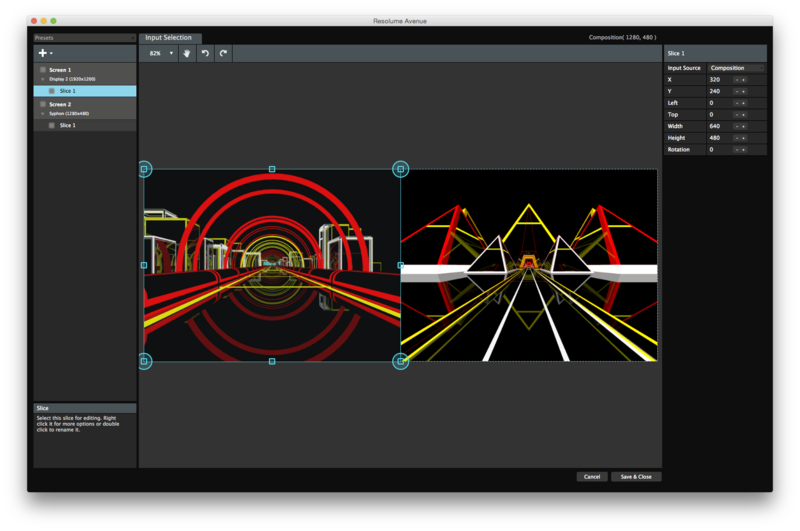 If you are spanning your output over several projectors, or using a mix of different outputs like LED screens, projector and pixel strips, Resolume provides a flexible way to control them all at the same time. Using the Advanced Output, you can choose which outputs you want to use. And you choose how to use them by setting up which parts of your composition are sent to which output. This way you can send VJ content to the main area, while displaying a single line-up still on the monitors in the hall. If you are doing a projection mapping show, you will use the Advanced Output to align your projected content to the physical object you are projecting on. When using LED processors, you can scale and resize your output to exactly fit the needs of the processor. If you are using DMX controlled lights, you can choose which fixtures you need to send to. Basically, the Advanced Output is where the magic happens. The Advanced Output is available on both Avenue and Arena. To get everything it has to offer, you will need Arena. It's possible to switch between different screen setups. 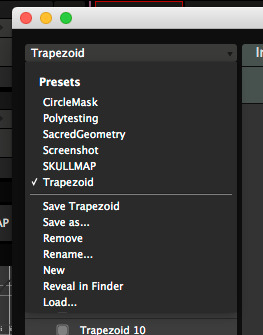 Using the dropdown in the top left of the Advanced Output window, you can save and select different setups. This is especially useful when you are playing weekly gigs at different venues that each require a specific setup. Using the preset system, you can just select the appropriate setting from the list, without having to recreate it again. This also means that your output setup is not tied to a certain composition. You can use different setups with the same composition, and use different compositions with the same setup. Tip! Browsing is for suckers. Choose Reveal in Finder or Explorer from the dropdown and you will be taken right to the correct file on your computer. You can copy this file to the same folder on the other computer. You can then load the preset via the dropdown. When loading a preset via the dropdown, it will be automatically copied to the correct preset location. Tip! Sharing presets also works between Mac and PC!